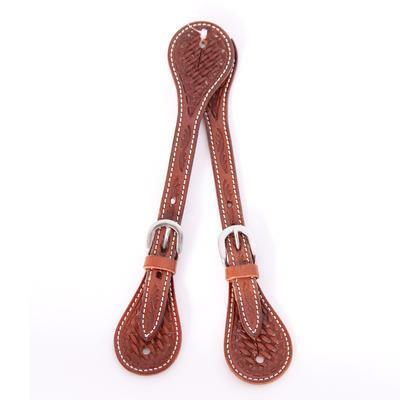 Chestnut Leather is Floral tooled and fully stitched around the edges. 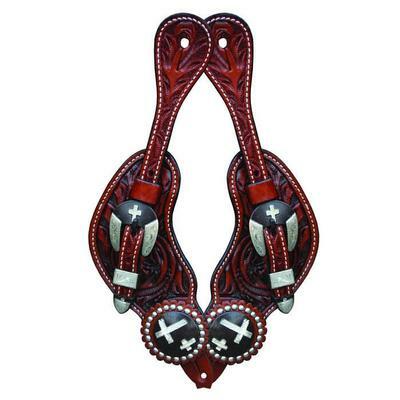 Conchos are outlined in silver dots and the black background features two crosses in silver. 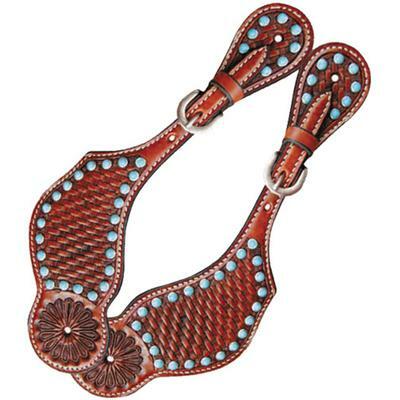 Buckles are silver and feature a black center with silver cross on each buckle, silver tip and keepers. 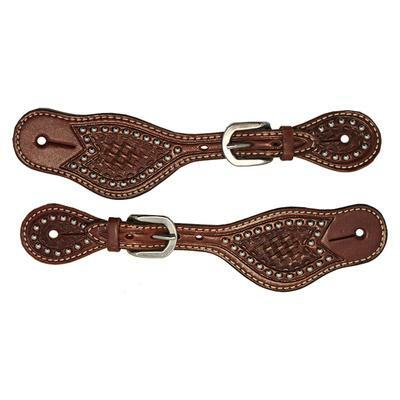 Chestnut leather with floral tooling. Silver crosses in black conchos. Silver buckle with tip and keeper.